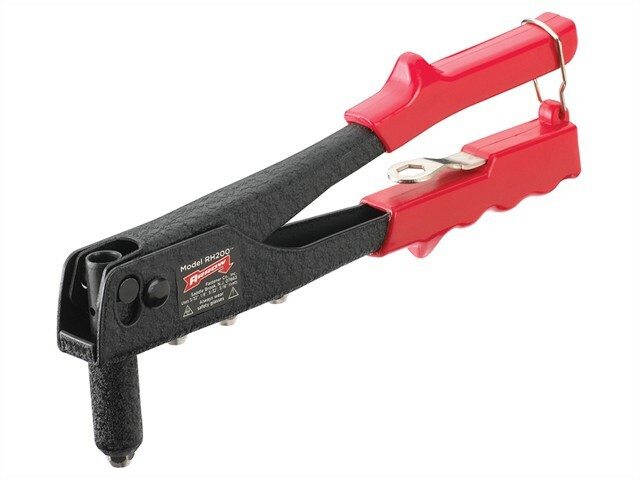 A professional all steel construction riveter with comfortable vinyl grip. Spring loaded handle for easy rivet loading and ejection. Extended nose for hard-to-get at places and will lock when not in use. Complete with four nosepieces to take 3/32, 1/8, 5/32 and 3/16 rivets.